Your Eastern Suburbs lifestyle awaits. 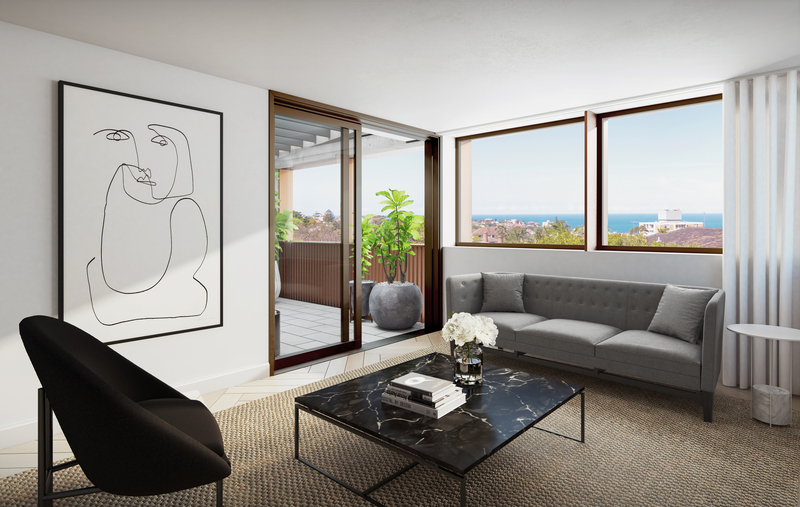 In this collection of just eight artfully crafted two-bedroom residences, you’ll be living in the finest position in Randwick, ready to enjoy all that the Eastern Suburbs has to offer. Step inside your interior-designed home, where every detail has been considered and every finish of utmost quality. The rooms sizes are generous and light-filled. The architect has specially commissioned interior designers Lawless & Meyerson to giving meticulous consideration to the way you’ll live in your home, from the positioning of the Auhaus lip pull brass handles on the kitchen cupboards to the Parisi fixtures in the designer bathroom. A palette of neutrals and onyx black, with highlights of polished silver and brass, gives a contemporary yet timeless feel to your new home. Whether you have a water or district view or a generous garden, you’ll experience spacious indoor-outdoor living. With mostly no common walls between any apartment, you’ll feel complete privacy – and the Randwick community is ready to welcome you once you step outside your door.